ALEX MEIXNER BAND returns to Helen! 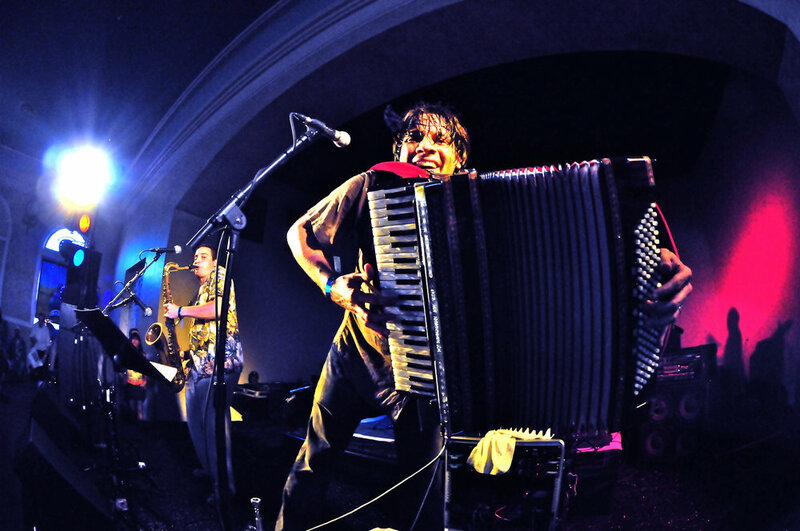 Alex Meixner is a nationally acclaimed musician, performer, bandleader, educator and a leading advocate of polka music. Formally trained in classical, jazz and ethnic music, Alex has cross-pollinated his versatile playing styles through pop music, funk, jazz and polka. And if you cheer loud enough, you may even get to see Alex play his accordion and trumpet at the same time! COST: $10.00 - available online and at the door. No fee for online tickets! Advanced tickets will be available until 11:59pm the day before each show. Please note that this is a general admission event. Seats and tables will be available. Exact layout has not been determined. The venue is up two flights of stairs and there is no elevator. Also, this is a "PG-13" event and may not be appropriate for younger children. Get your advanced tickets early! These shows will sell out!